HomeAnalysisHillary: Wall Street’s Losing Horse? Constitutional Crisis? What Is the End Game? Hillary Clinton: Wall Street’s Loosing Horse? Constitutional Crisis? What’s the End Game? The trigger mechanism which incited the FBI Director to send a Second Letter to Congress was a report by the Wall Street Journal published four days prior to the sending of his letter to Congress (October 28). On October 24, the WSJ revealed that “Clinton friend [Virginia Governor] Terry McAuliffe donated money to an FBI investigator’s wife when she ran for office” . 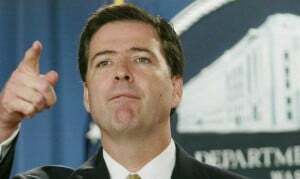 Comey’s decision to send a second letter on October 28 (October Surprise) was triggered by the contents of the WSJ report, pointing to bribery by Clinton and corruption within the FBI. The donation went to the 2015 Virginia state Senate election campaign of Dr. Jill McCabe, who just so happens to be the wife of FBI official Andrew McCabe who – a few months later in January 2016– was appointed deputy director of the FBI in charge of the Clinton Email investigation. How convenient (See WSJ, October 24, 2016). 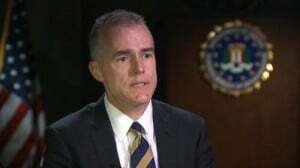 The Hillary donation received by Dr. Jill McCabe was not reported. According to official records she received a total of $256,000 dollars in campaign contributions. Upon the release of the WSJ report, FBI Director Comey, responding to internal pressure from within the FBI, with a view to protecting his integrity, decided to release a second letter regarding the Clinton Emails. The corporate elites are not monolithic. Quite the opposite. There are major divisions and conflicts within the ruling corporate establishment. 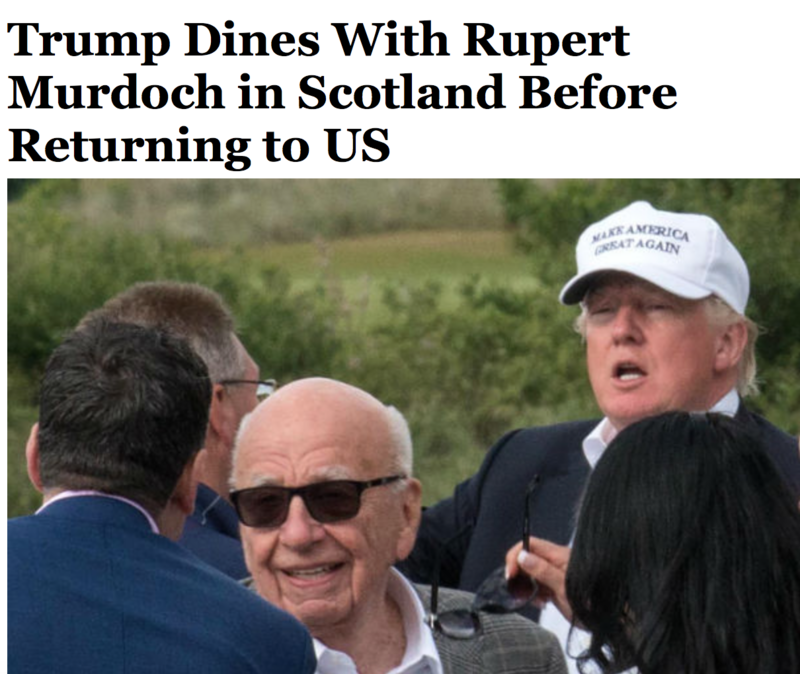 What seems to be unfolding is a division between competing media conglomerates, with Murdoch’s News Corp Group (which includes the WSJ and Fox News) supporting Trump and the Time Warner -CNN Group supporting Clinton. The Clinton Campaign has responded by accusing FBI Director James Casey of breaking the law. 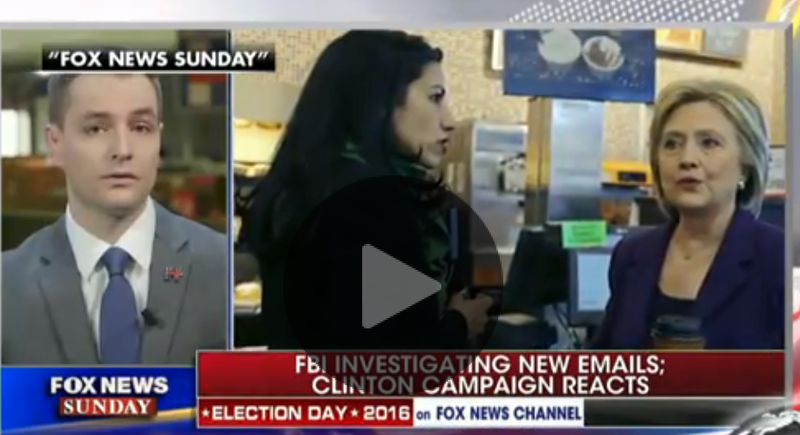 In many regards, the contents of the Huma Abedin Emails (released by the FBI) –which have been the object of extensive media coverage– is a red herring. But there is more than meets the eye. The Second letter pertaining to the Emails opens up a “Pandora’s box” of fraud, corruption, bribery and money laundering. Sofar the media has concentrated on trivialities with a view to exonerating Clinton. The incriminating evidence of criminality contained in the WSJ report (i.e Clinton money paid to the wife of the Number 2 official in the FBI) is not a media talking point, nor is the fraud underlying the Clinton Foundation’s money transactions. This does not solely pertain to the Email scandal, the FBI “has an open investigation into the Clinton Foundation”, which constitutes a hotbed of fraud and money laundering. Moreover, a class action lawsuit was launched against the Democratic National Committee (DNC) “alleging fraud and collusion with the Hillary Clinton campaign”. National Emergency Measures, Martial Law? The present impasse in the electoral process is a crisis of legitimacy characterized by the criminalization of the US State, its judicial and law enforcement apparatus. In turn, Washington is committed to a hegemonic US-NATO “war without border” coupled with the formation of giant trading blocks under the TPP and TTIP proposals. This neoliberal macro-economic agenda has since the early 1980s been conducive to the impoverishment of large sectors of the World population. These developments coupled with a potential constitutional deadlock point in the direction of rising political and social tensions as well as mass protests throughout the US which could lead America at some future date into the application of “martial law”. The establishment of “Internment Camps” on US Military Bases under legislation adopted in 2009. Visit Global Research for more pertinent articles and information. This article (Hillary Clinton: Wall Street’s Loosing Horse? Constitutional Crisis? What’s the End Game?) was originally created and published by Global Research and is printed here under “Fair Use” (see disclaimer below) with attribution to author Prof Michel Chossudovsky and Global Research.